Provisional results are now online. If you think any changes need to be made please EMAIL US and we will make any changes before publishing final results on Tuesday. We will also have photos from the race on our Facebook Page Relish The Great Outdoors which are freely available for you all to use :-) These will be posted on by Friday. Our next races are part of a 4 race 10km series around the Bath Skyline over the winter, which has a unique interlocking medal set which runners can collect by completing any 3 of the 4 10kms runs. We also have a series registration option; 4 races for the price of 3! Find out more here. Medals - Unfortunately our supplier experienced unanticipated delays with customs inspections and the medals for the 10km race on Sunday were not able to arrive on time. As you may be aware, we pride ourselves on producing unique medals for each event and have an interlocking series of medals this year. 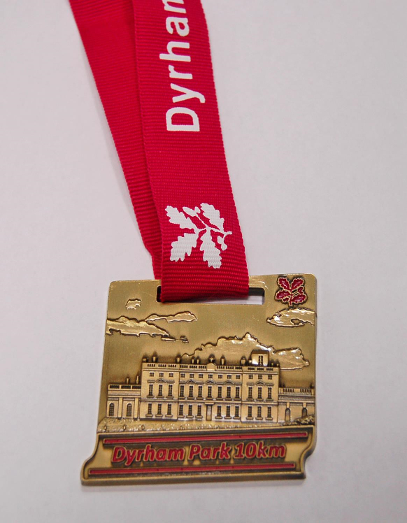 These interlocking medals will be forwarded to the 10km runners direct from our supplier and should be with you at the end of this week or beginning of the next. Thank you for your understanding and we are sorry again we were not able to present these on the day.